We work with some of the nation’s largest insurers to make certain that our clients’ cars, homes, motorcycles, boats or recreational vehicles are properly and adequately insured. The last thing anyone needs is an accident or incident without adequate insurance coverage. We can help you assess your needs and insure your vehicles. There is nothing we value more than our families, and there is nothing more important than their health and well-being. We represent a variety of financially stable life insurance carriers that can help provide protection for our clients’ families even in the most difficult of circumstances. If you own a business, you don’t need us to tell you how important it is to insure that business. However, you may need help evaluating your insurance risks and the coverage you need to protect your business from everything that can happen in a workplace. Let us help you make that assessment and provide the coverage that will protect you most. Refer someone to us and get a $5 gift card. The best compliment we can receive from you is a referral to your friends and family. 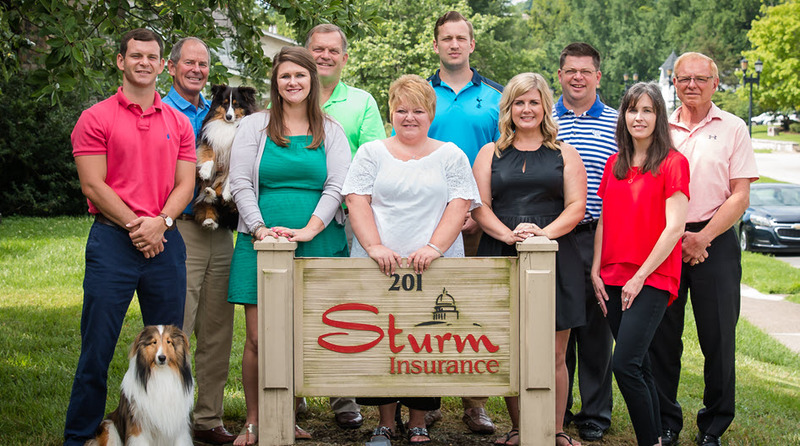 Every time you refer someone to Sturm Insurance you will receive a $5 gift card. In addition, Sturm Insurance will also donate $5 to a local charity of the quarter. Last but not least, our $500 annual donation will be selected from our ‘referral pot,’ made up of the clients who have sent us referrals that calendar year, and will be donated to the winner’s choice of charity….